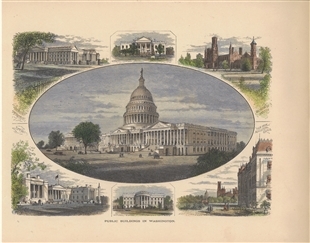 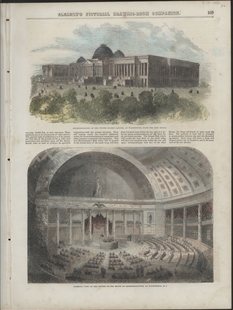 The steps of the Capitol take center stage in this montage print. 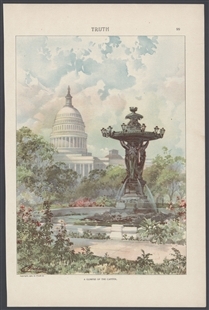 B.W. 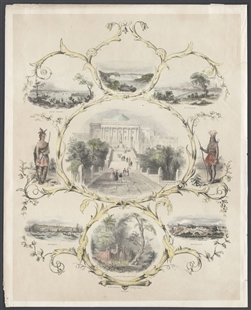 Thayer’s Lithography of Boston, who primarily printed maps and sheet music, combined bits of seven engravings included in the 1840 publication American Scenery and surrounded them with foliate borders and generic American Indians to create this veritable “greatest hits” picture.